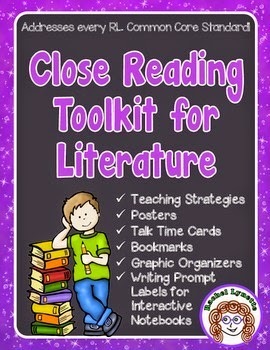 Close Reading for Literature (Fiction) plus a Freebie! I have heard close reading called “abusing the text” and that it kills the joy of reading, which is probably true in many classrooms. Close reading is like salt. A little is a very good thing – a lot, not such a good idea. I think this is especially true with literature because most kids (and adults, too) gravitate toward fiction when reading for pleasure. 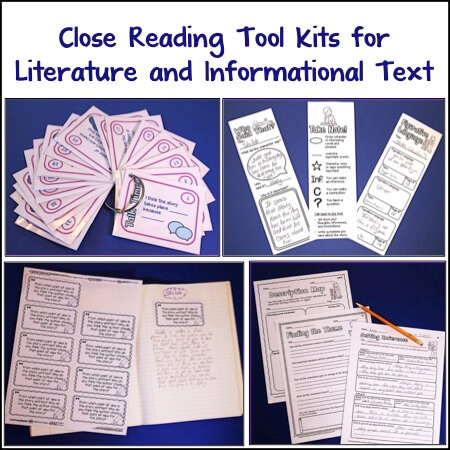 Fortunately, close reading and reading for pleasure are not mutually exclusive, and in fact, when done well, close reading can help to foster a deeper and more meaningful love for reading. 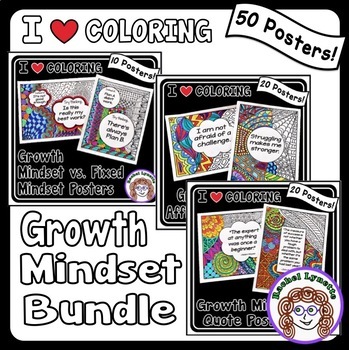 Read on for some ideas on how to do just that, and get a freebie, too! First off, in my opinion, there are two basic approaches for close reading literature. The first is the “traditional” three-read format similar to what you may have used with informational text. 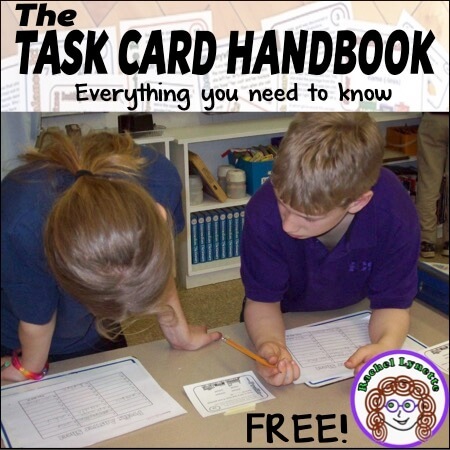 With this format you focus on different aspects of the text with each read, closely following the RL Common Core Standards. This poster (which is free with the download) is a nice summary. 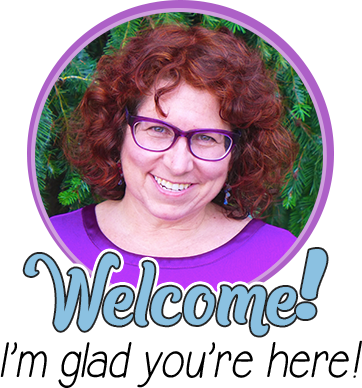 This approach is best for short selections – either stand alone short stories or passages pulled from a longer story. Allow students to use small sticky notes to jot down their ideas, thoughts, and questions. They can use the notes as markers so they can come back to the place in the book later for further examination. 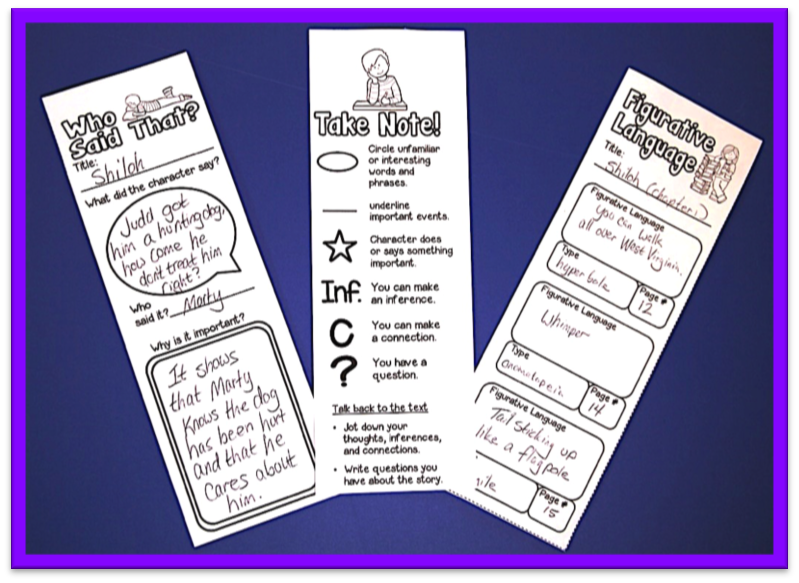 Have students use the bookmarks that they can write on to jot down ideas as they read. You may want to use guided bookmarks like the ones pictured. Older students could write their reflections on notebook paper in a list or chart format, noting the page numbers where they paused to reflect. Discussion is an important part of close reading, as students often glean insight from each other. 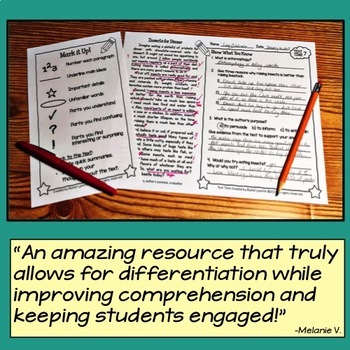 It can also help to foster enthusiasm for the text, build critical thinking skills, and build confidence as students see their ideas reinforced by their peers. 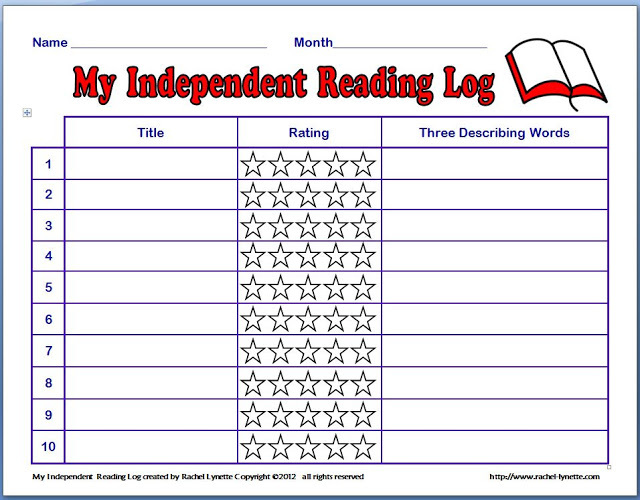 Depending on your students’ level of independence, you could discuss sections of the text as a class, in small groups, or even in partners. Sections of the text that merit discussion can be chosen by the teacher; however, a more authentic discussion may occur if students are encouraged to select places in the text they would like to discuss. 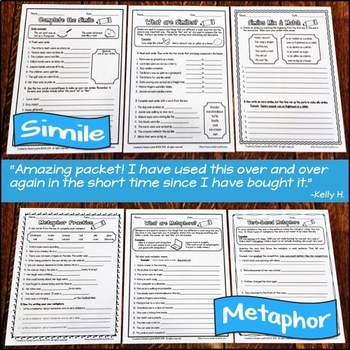 Students can use the notes they took while reading as prompts for discussion or to jog their memories when discussing specific aspects of the story. 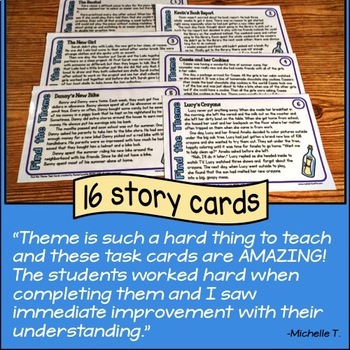 Using discussion prompt cards can really help. I find that it is especially helpful if they are worded in first person, like the ones in the picture. 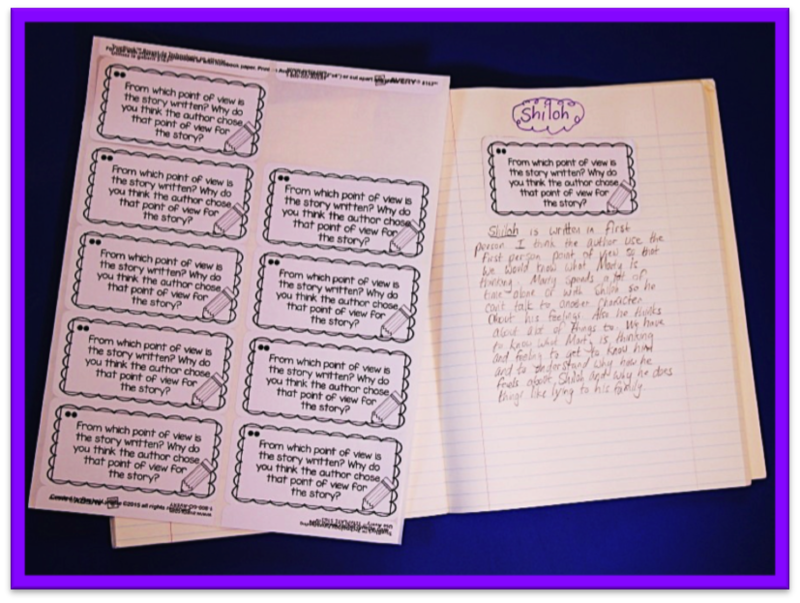 By writing their responses to text dependent questions, students gain independence in their ability to understand the text. 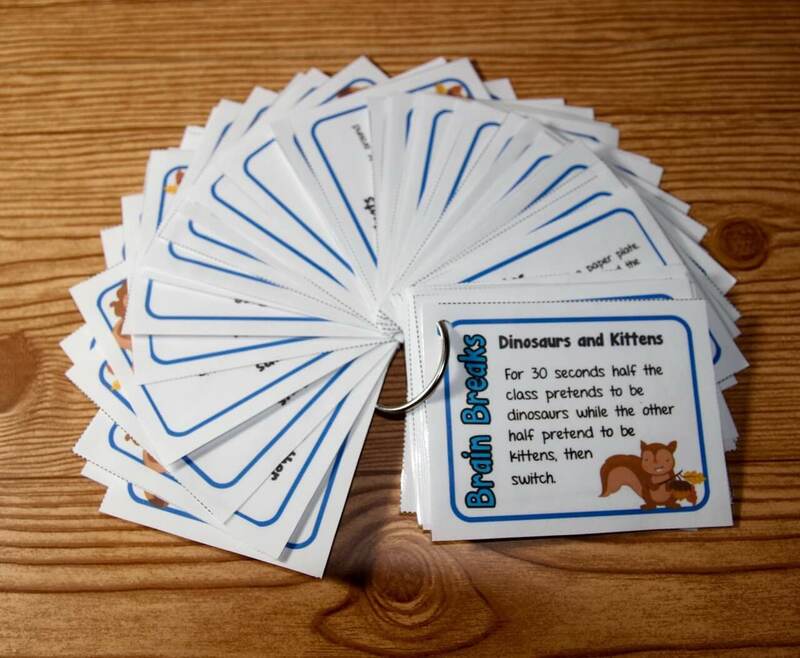 It also gives students an opportunity to explore their own ideas in relation to the text without distraction. Students can use the notes they took while reading to jog their memories while writing about the text. 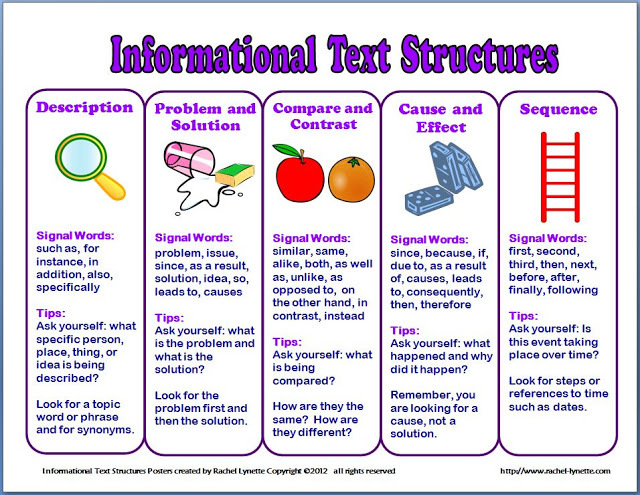 The graphic organizers can be used to help students focus on a specific aspect of the text. 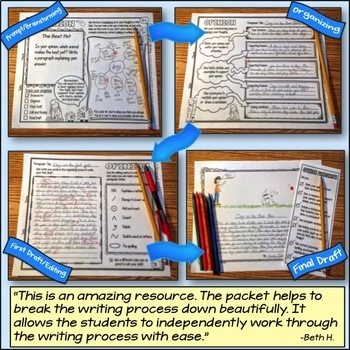 For more advanced students, consider using a graphic organizer as a pre-writing activity. 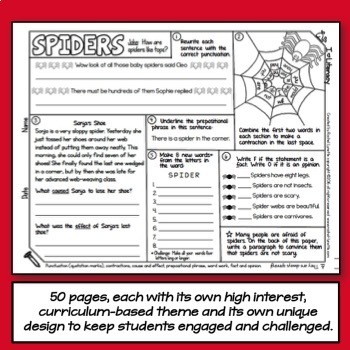 The students can then use the completed graphic organizer to write a response to a text-dependent question in paragraph form. 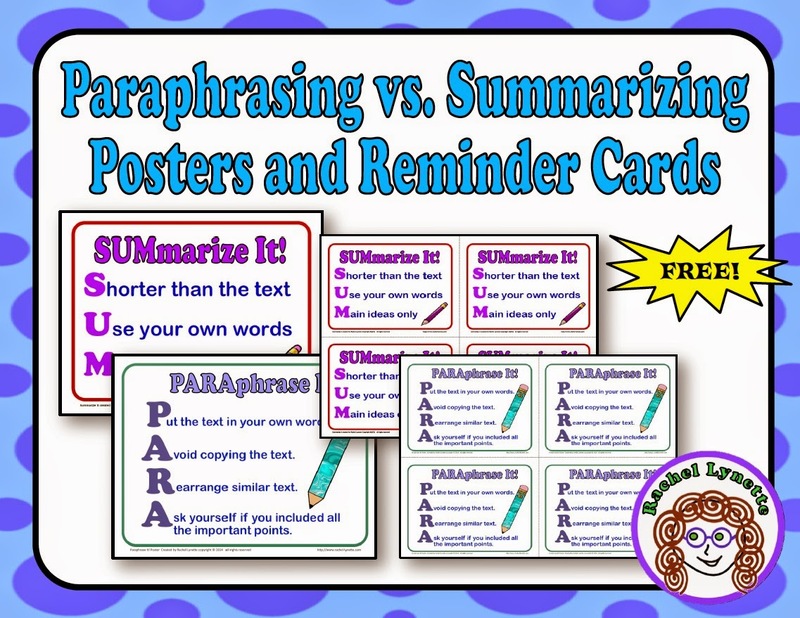 Writing prompt labels/cut-outs (like the ones below) can be used with interactive notebooks or on notebook paper, either with a graphic organizer or independently. 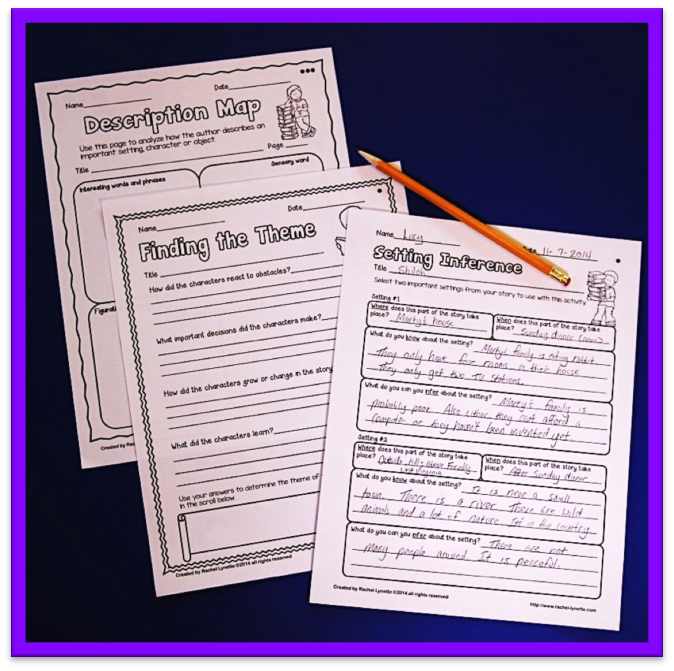 You may want to provide avenues for students to share their written reflections. 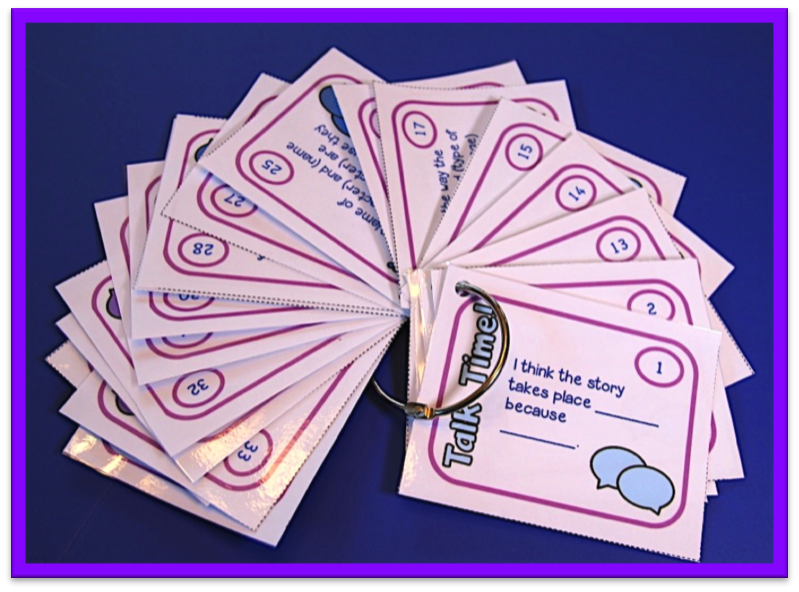 Set of 6 “Talk Time” cards for group discussion. 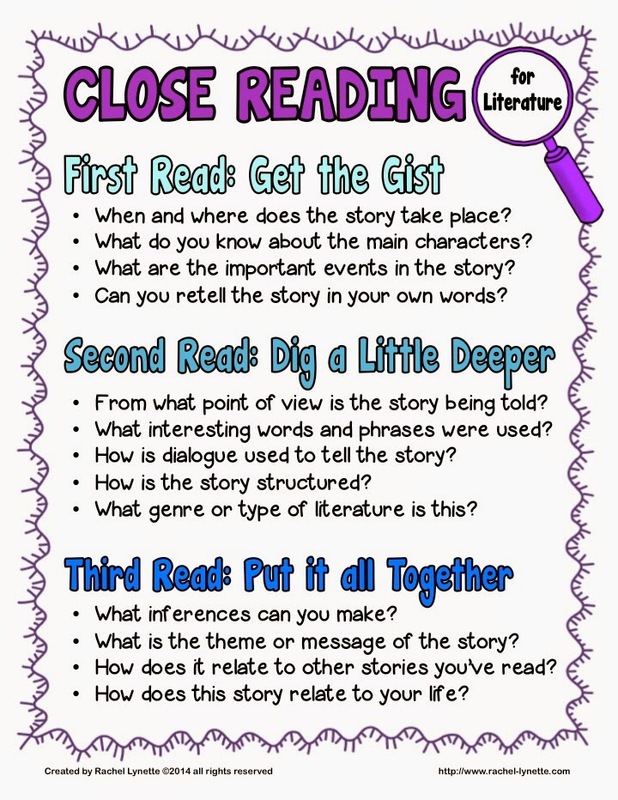 Have you been doing close reading with your students? How is it going? 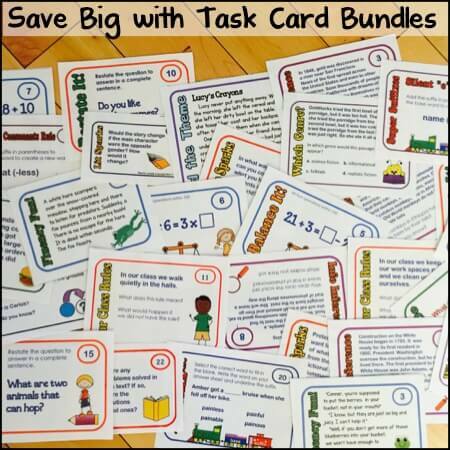 Got any tips to help your teaching colleagues? Please share with a comment!